Meet a New Disney Princess – Amira the Giraffe! 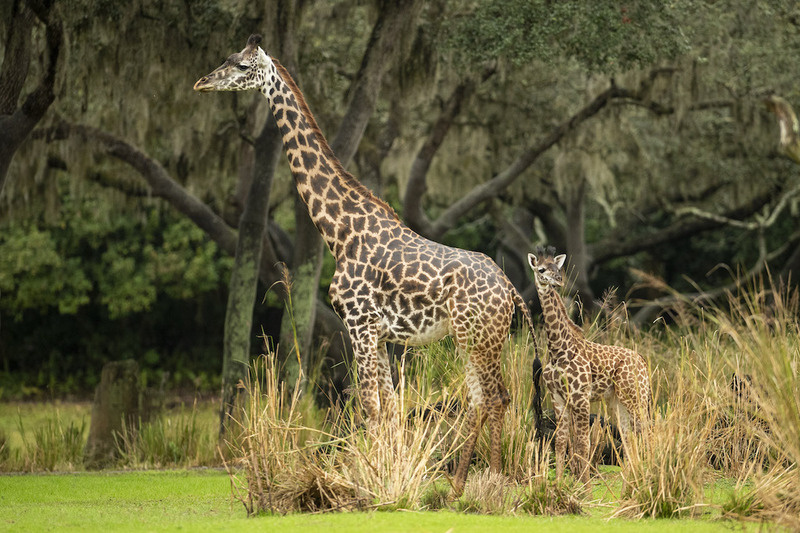 A few weeks ago, Disney World enlisted the aid of its fans in naming its newest Masai giraffe calf, which was born at Disney’s Animal Kingdom back on October 1. The baby has been named Amira, which means “princess” in Swahili. 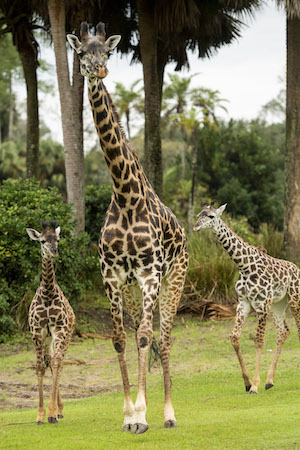 The adventurous young calf has now officially joined the herd on the park’s Kilimanjaro Safaris savanna. Amira already stands more than five feet tall. Even so, she still says close to her mother, Kenya. Amira joins Aella, a 5-month-old female giraffe calf. Aella was also born at Disney’s Animal Kingdom and made her debut on the Kilimanjaro Safaris savanna in late August. “vulnerable” species, with only an estimated 32,000 left in the wild. They face poaching and habitat loss, and may soon be placed on “endangered” status. Disney is actively involved in efforts to save Masai giraffes through the Disney Conservation Fund and also sends animal care teams to lend their expertise in the field. 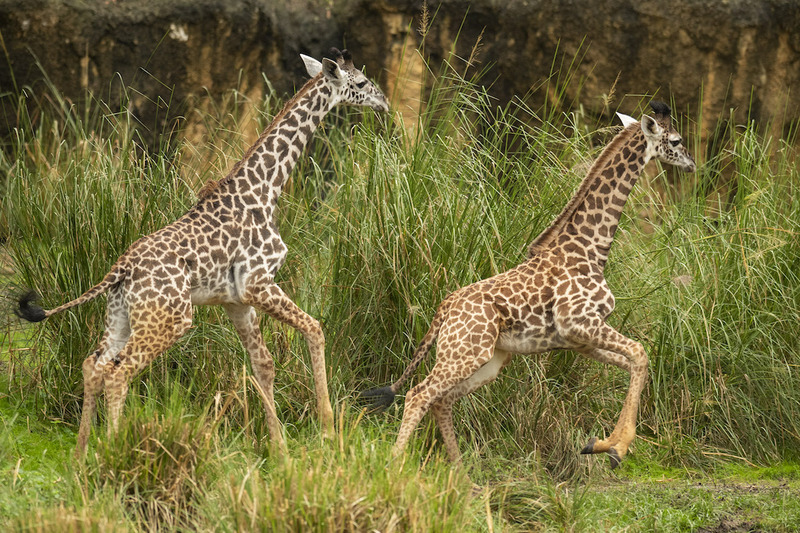 Earlier this year, several Disney animal care experts went to Uganda to help relocate a herd of giraffes across the Nile River to establish a newer, safer habitat away from oil-drilling fields. Another team went to Kenya to support a giraffe and zebra population census. Be sure to look for Amira and Aella the next time you’re on the Kilimanjaro Safari ride, or when you take one of the special tour experiences in Animal Kingdom, like Savor the Savanna. And let us know if you spot these babies by leaving us a note below! Heard about our FREE weekly newsletter? It’s full of tips, news, features and fun! Subscribe by clicking the link below, and you’ll get our FREE download of 109 Tips for the Perfect Disney World Vacation!